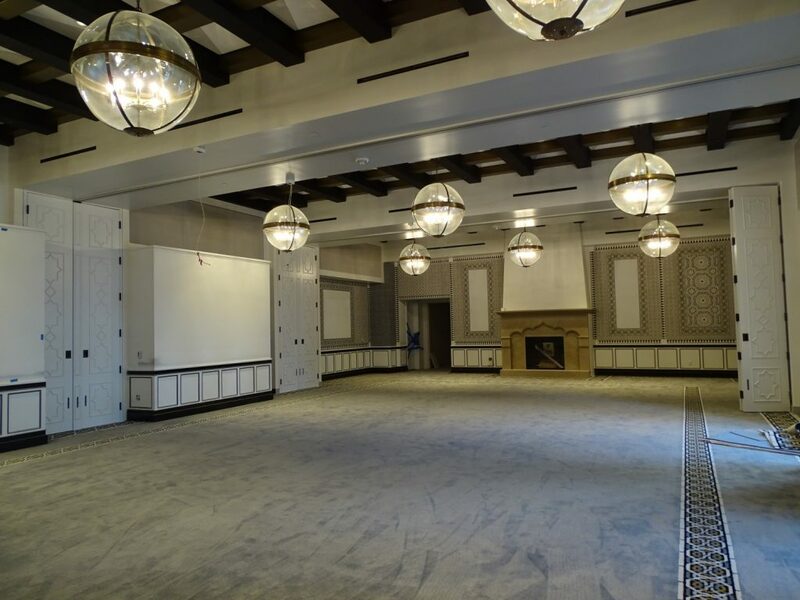 Santa Barbara has an amazing addition with this new four star resort Hotel Californian, beautifully designed by DesignArc and built by MATT Construction. 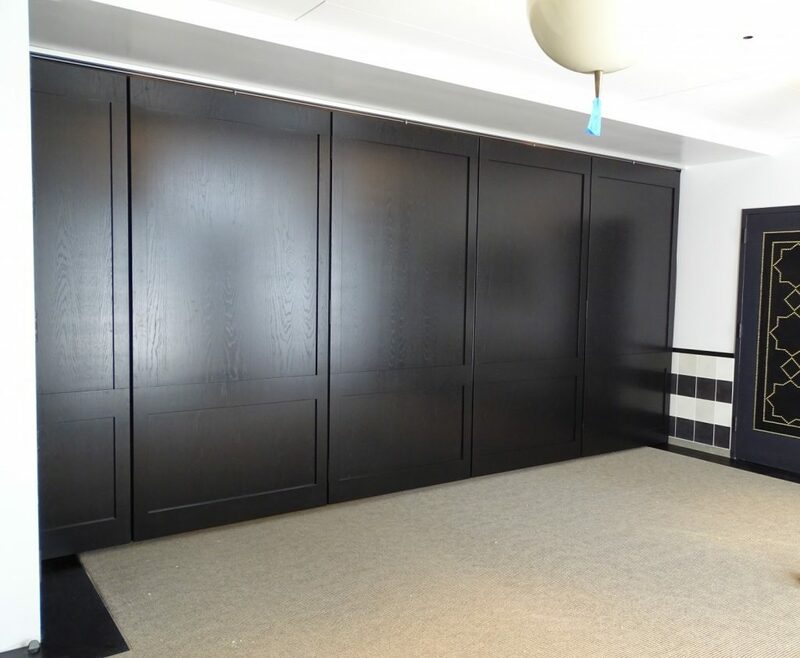 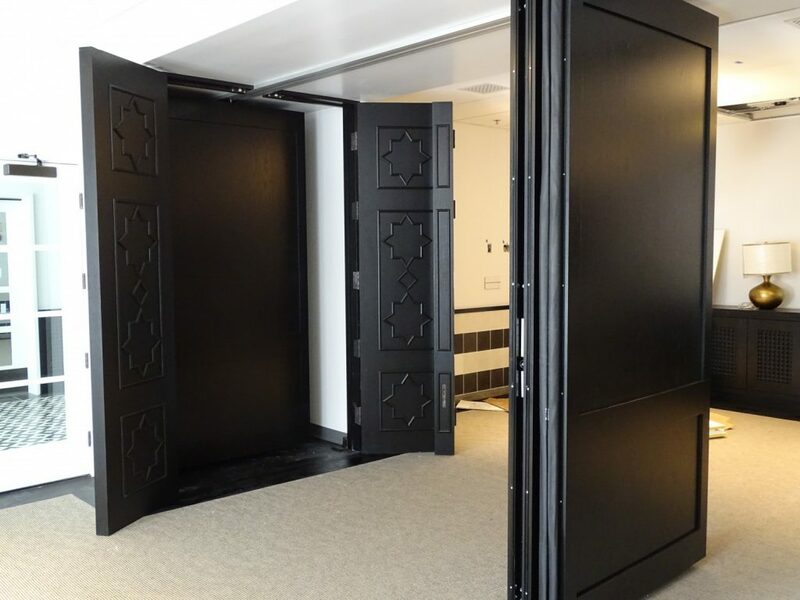 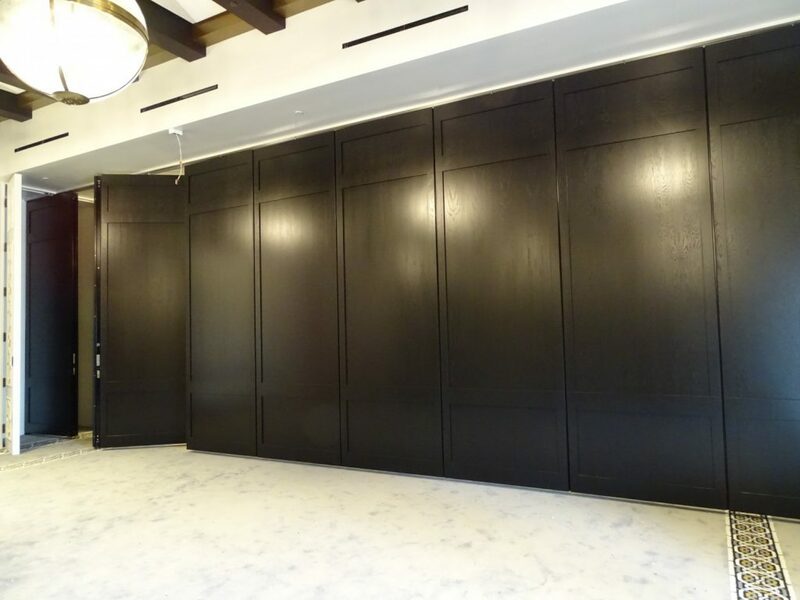 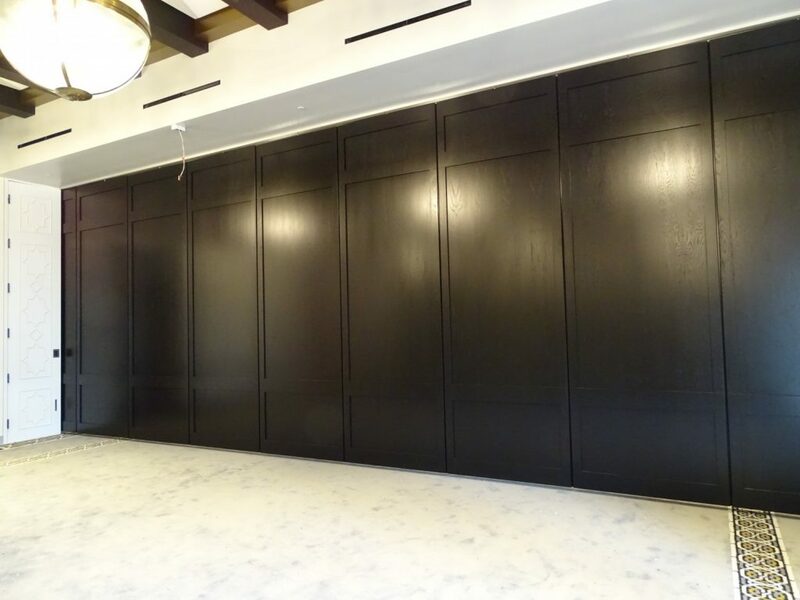 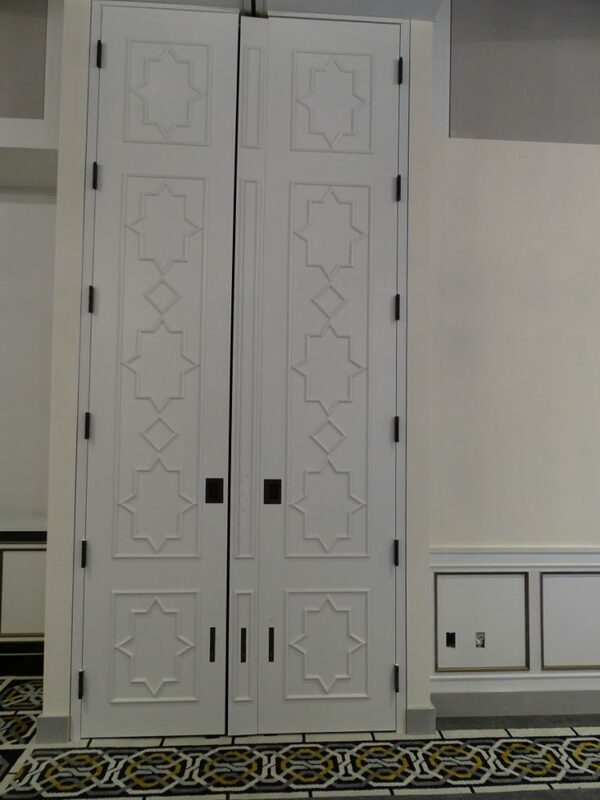 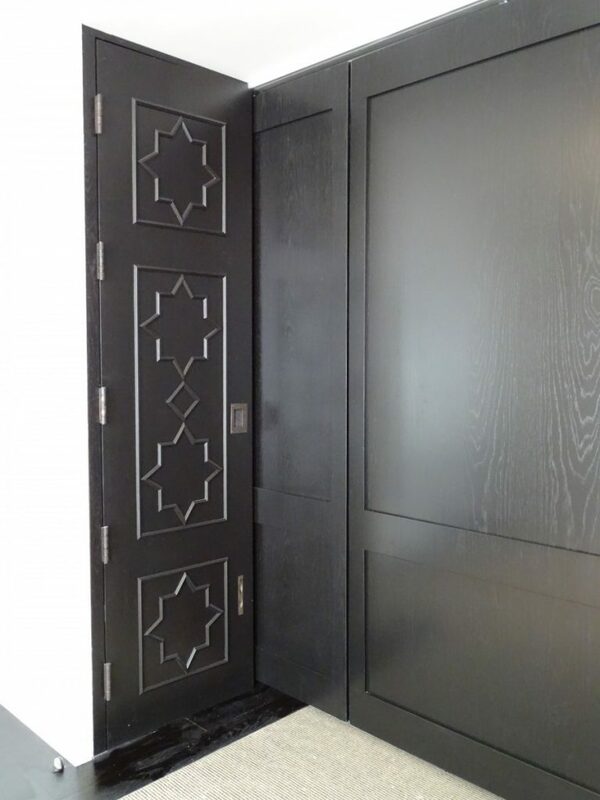 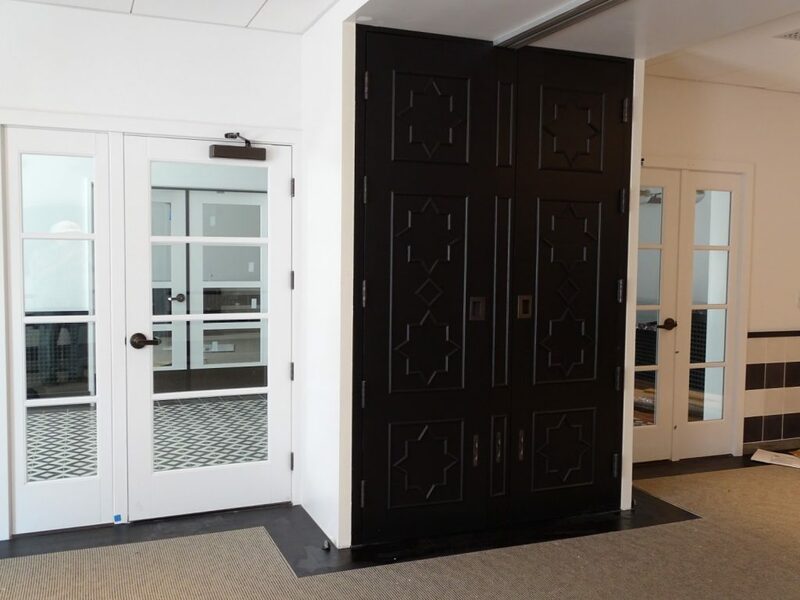 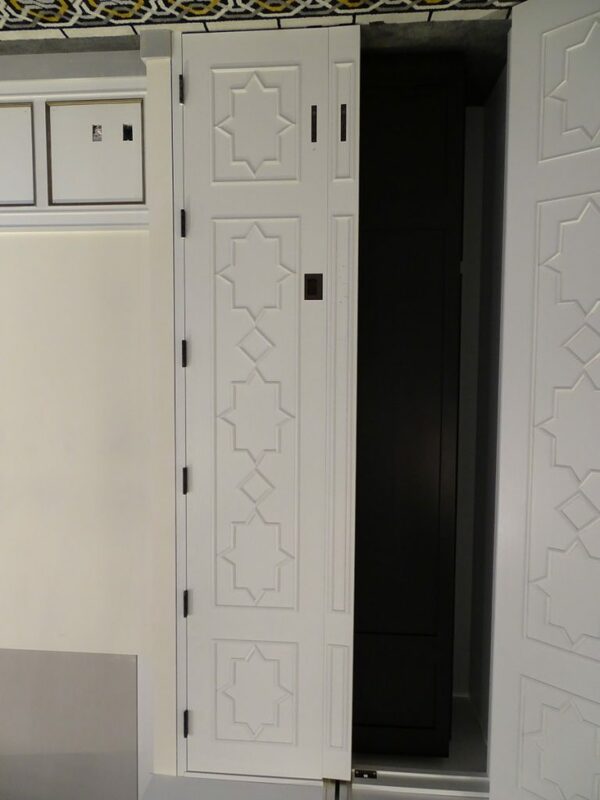 L2 Specialties provided some amazing custom wood finishes on their Signature 842 series operable walls from Moderco. 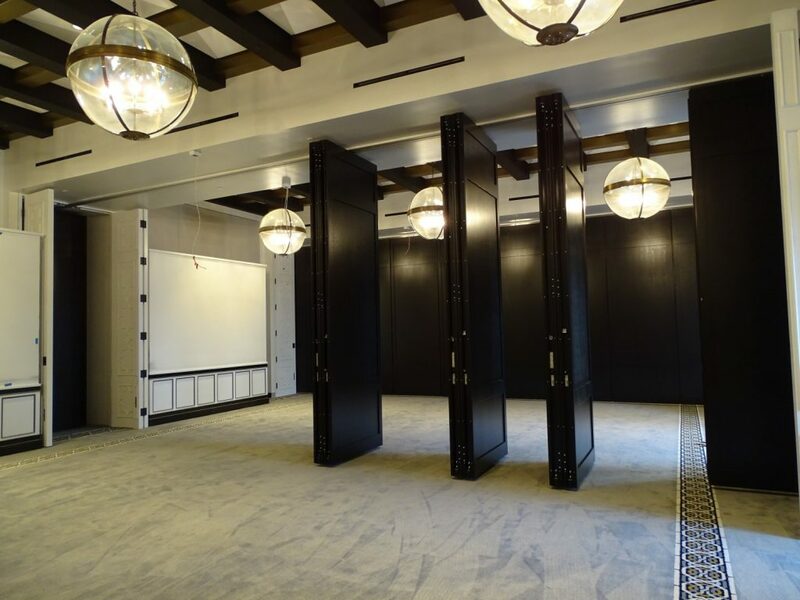 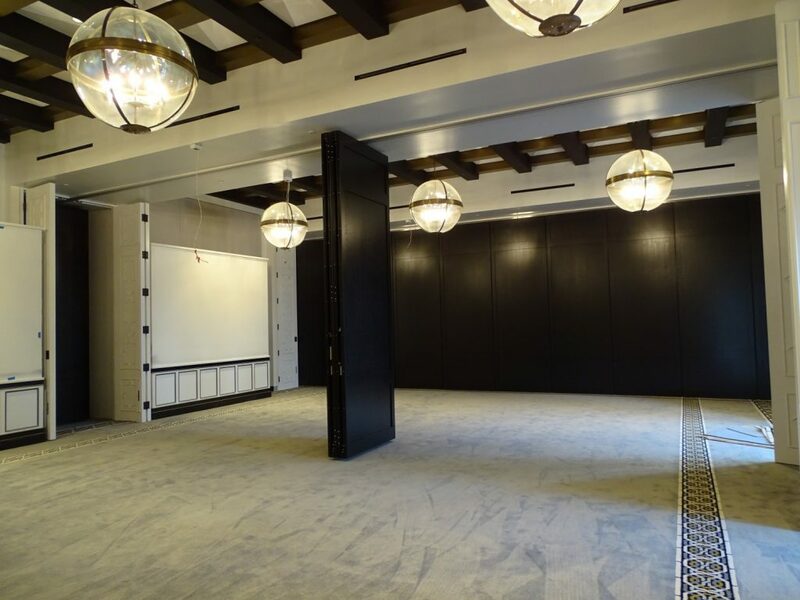 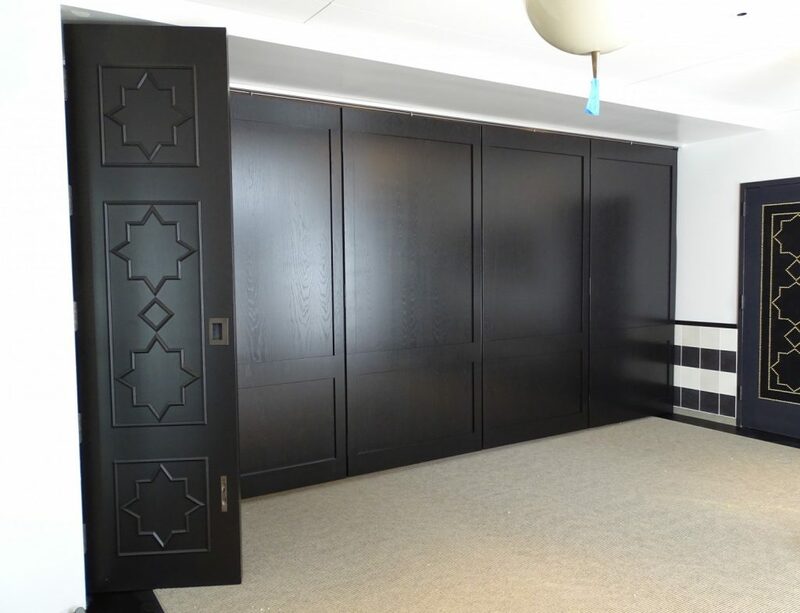 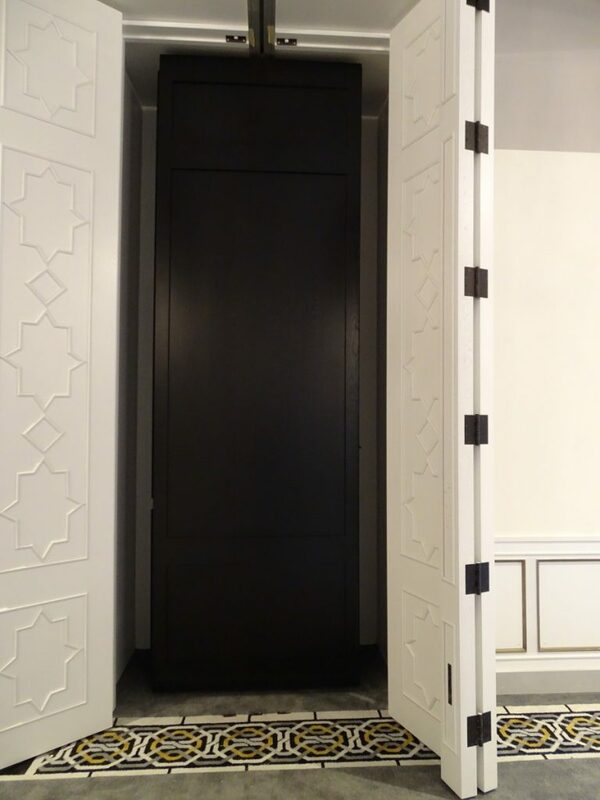 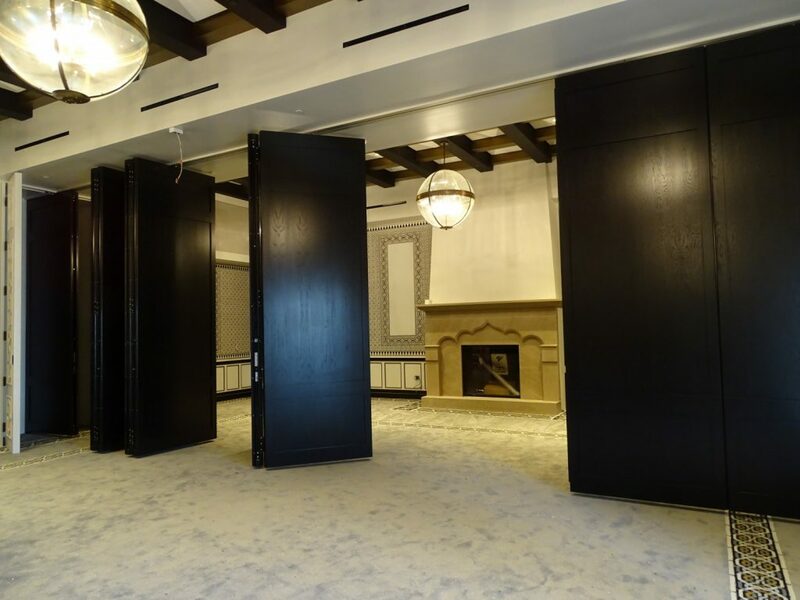 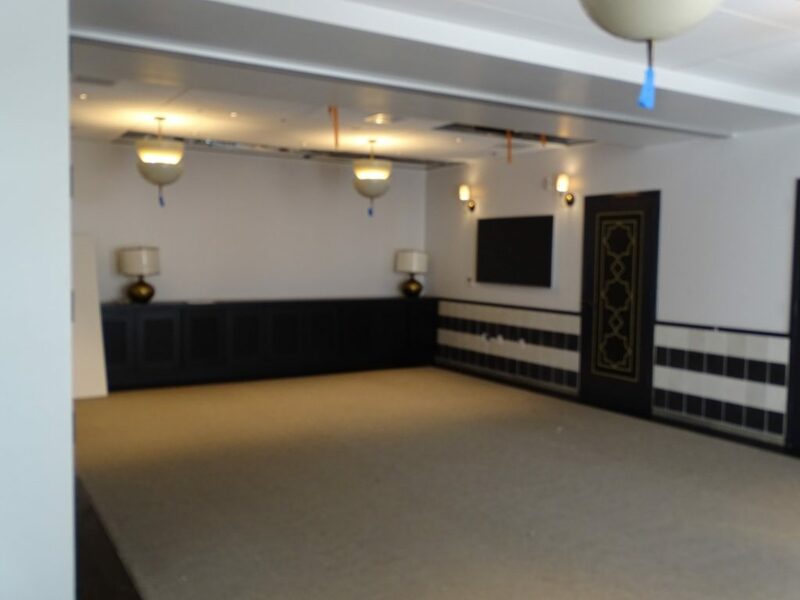 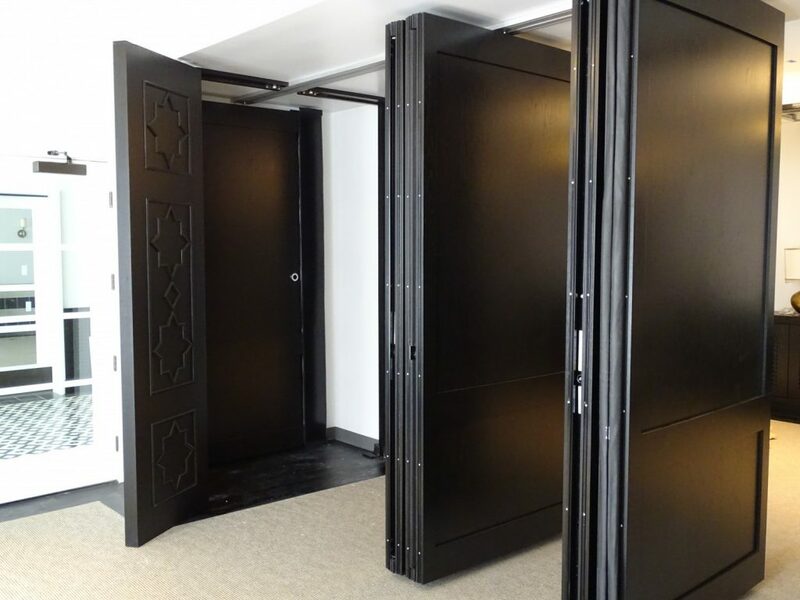 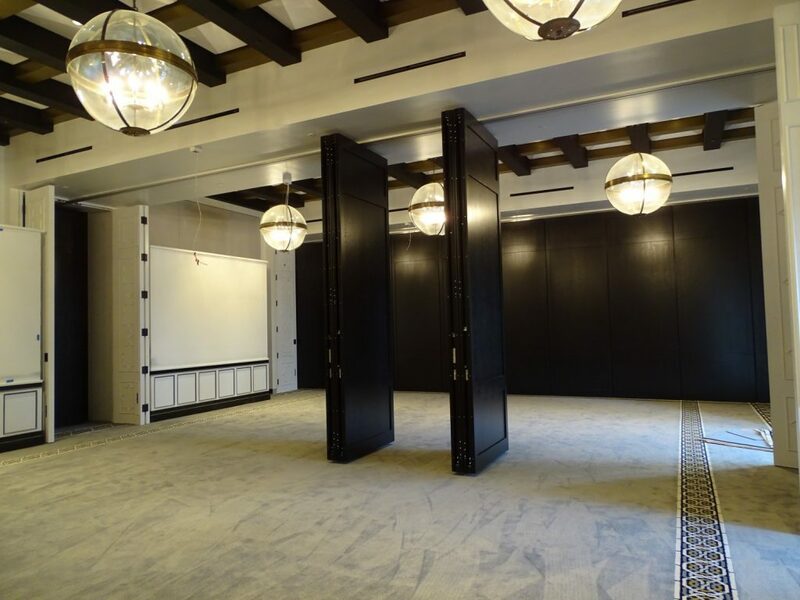 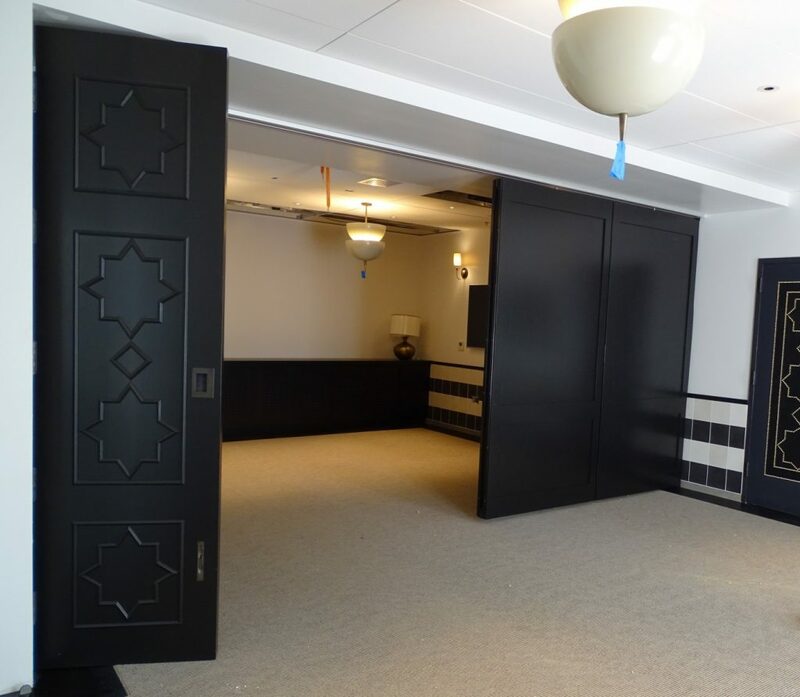 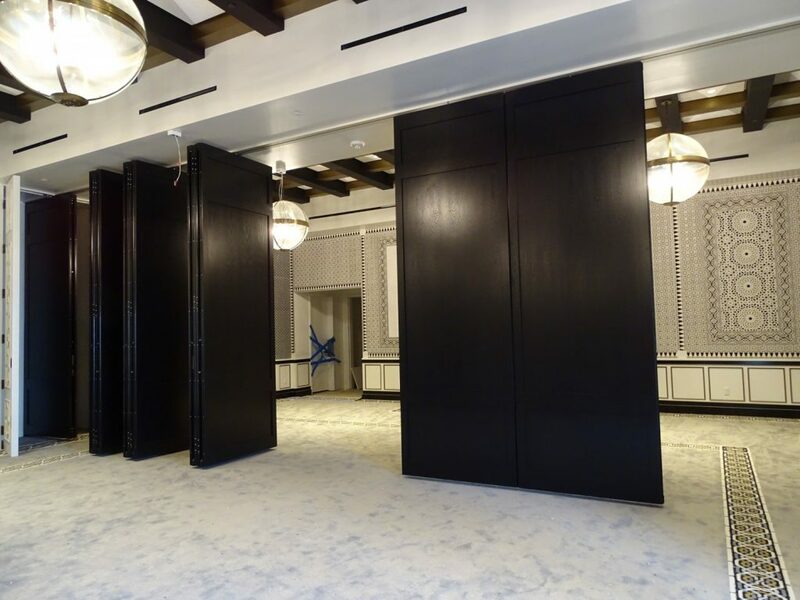 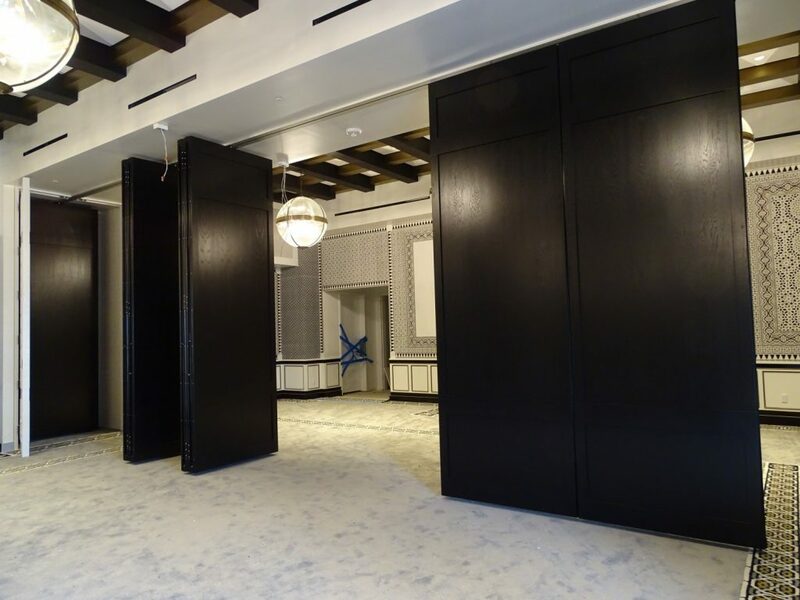 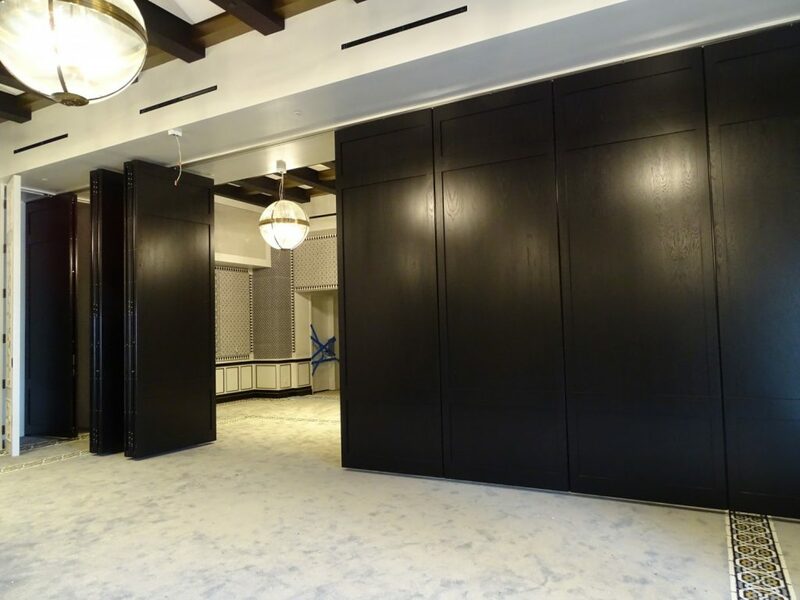 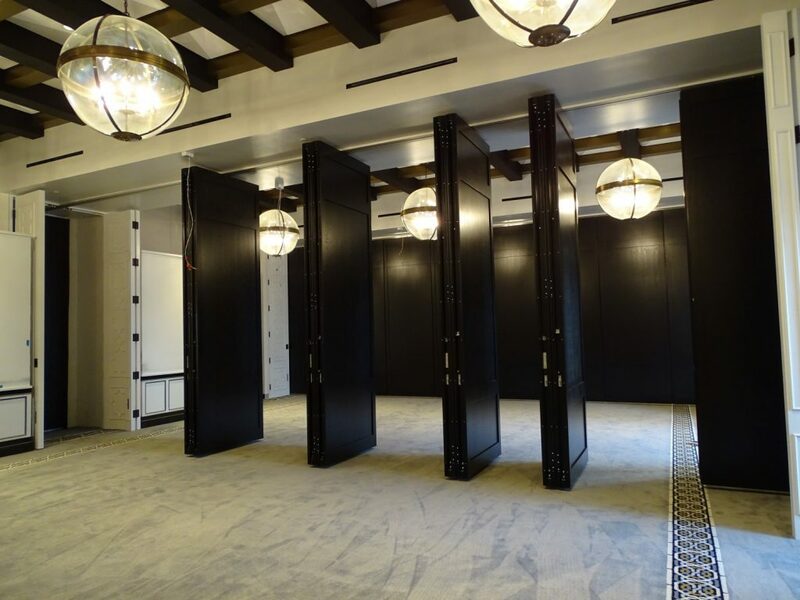 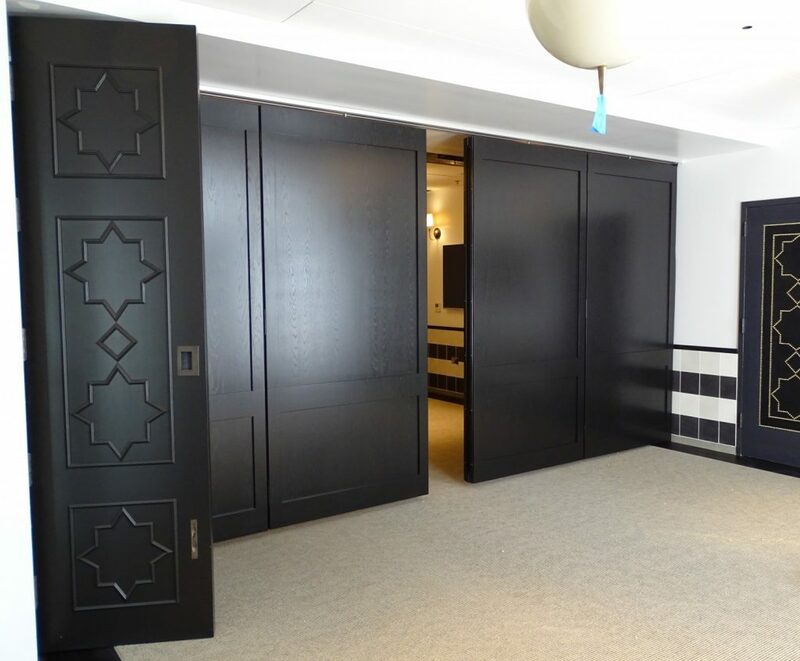 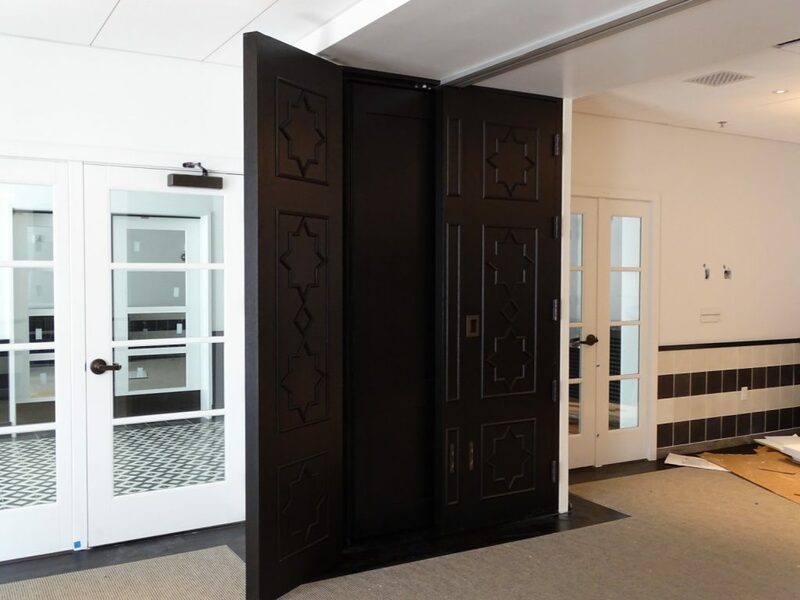 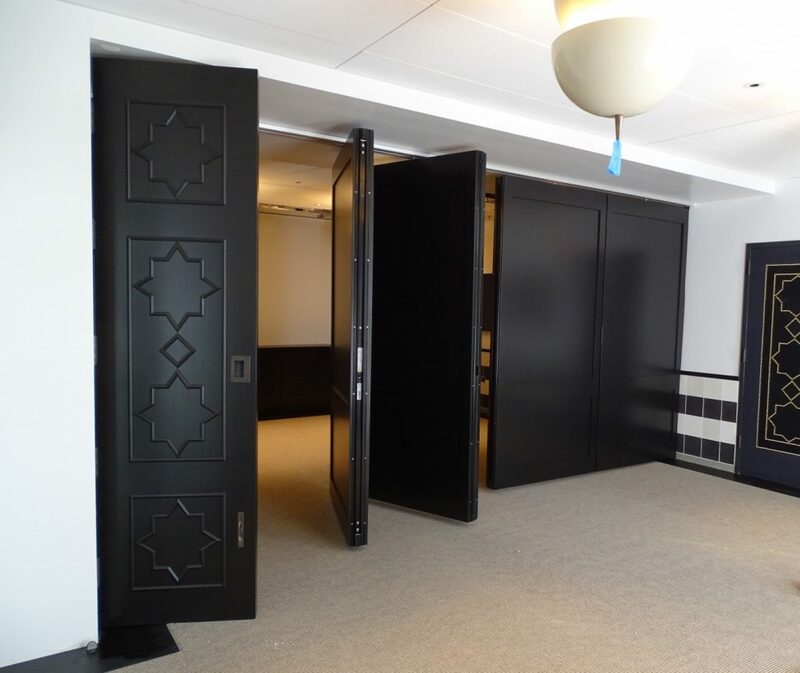 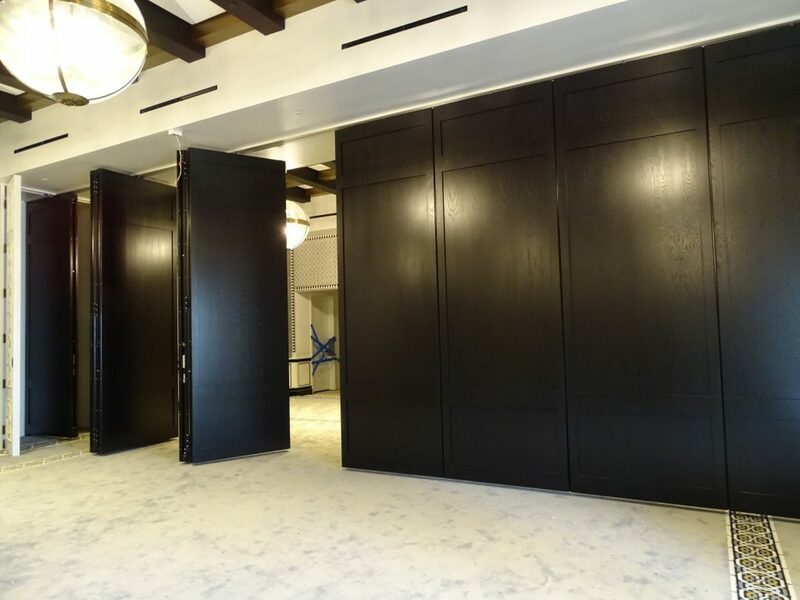 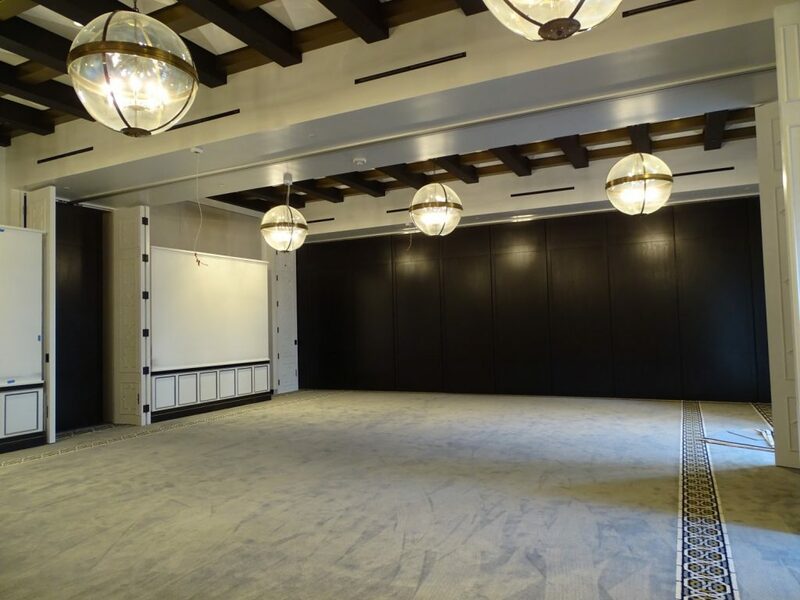 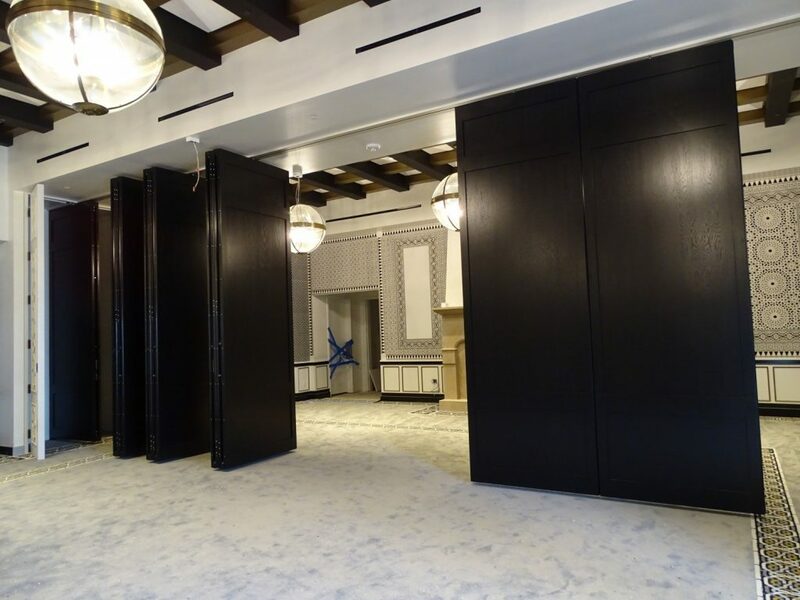 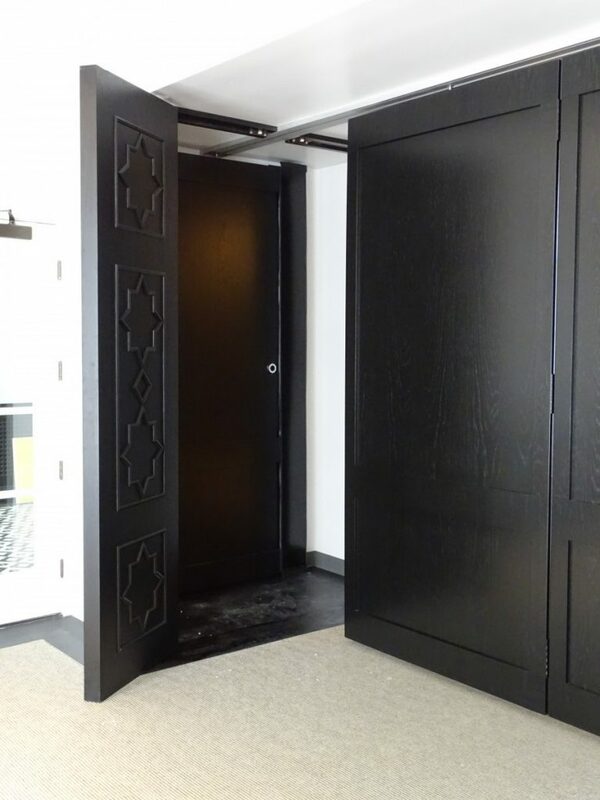 These partitions provide acoustic privacy at 55 STC and pocket away to maximize the ball room and meeting spaces. 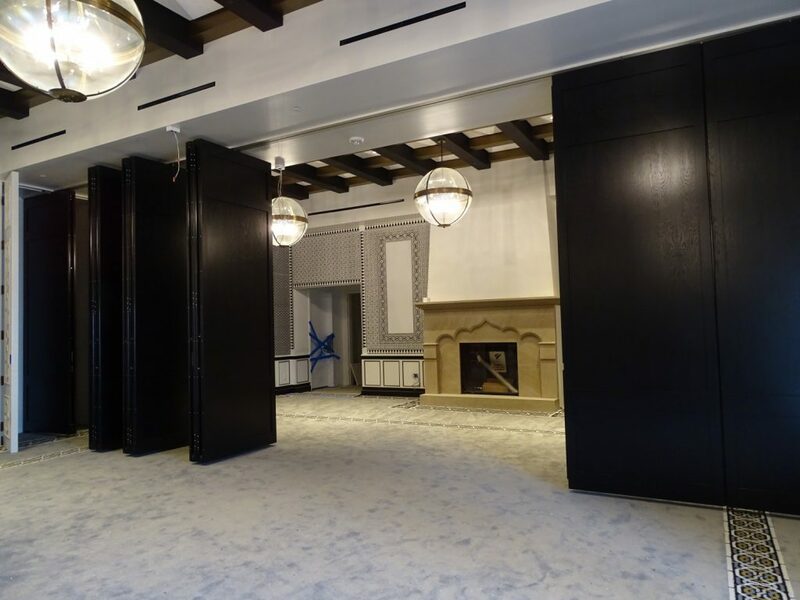 Entrada de Santa Barbara, one of Santa Barbara’s largest private developments in decades, comprises a complex of buildings set on three sites, and includes the historic 1924 Californian Hotel. 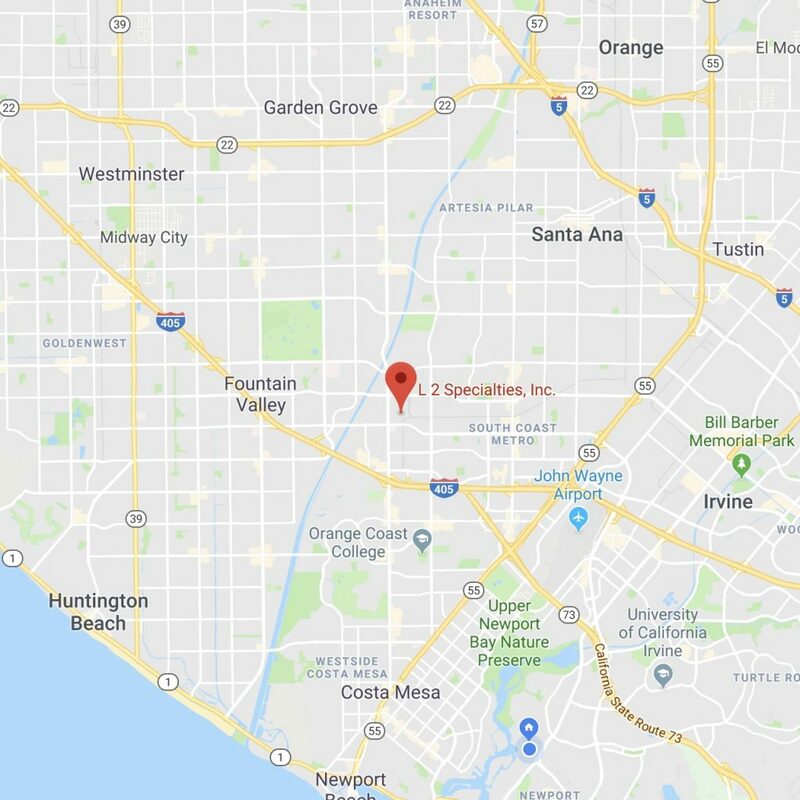 This mixed use coastal development, located blocks away from the Pacific Ocean, consists of a high-end 123-room boutique hotel, 22,000 square feet of commercial space, a large parking garage, all arrayed around a grand public plaza. 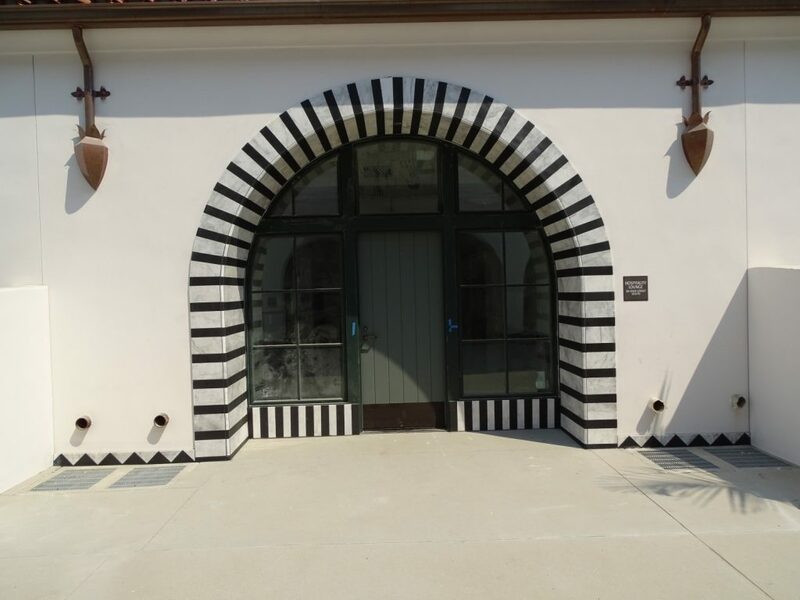 Intended to enhance and connect lower State Street and the Wharf waterfront to Downtown, Entrada de Santa Barbara also takes its place as the gateway to the expanding Funk Zone and Urban Wine Trail. 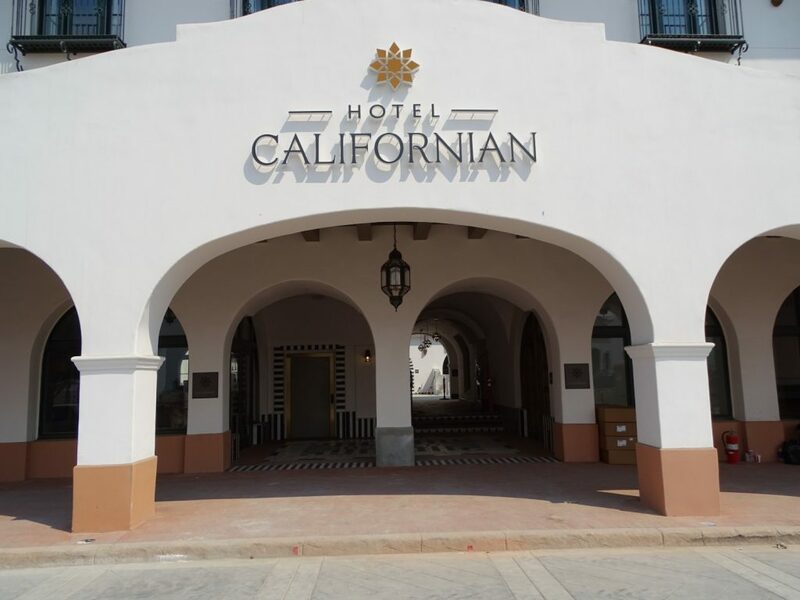 The Hotel Californian opened mid-September 2017.